Embrace a life of luxury at Luma at Miramar. 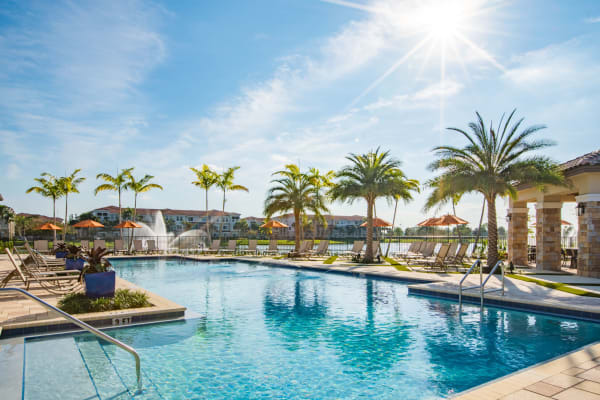 When you live in our Miramar, FL, apartments near the Florida Turnpike, you choose a lifestyle of extravagance and relaxation. Our air-conditioned apartment homes provide the perfect getaway from the summer heat. Ceiling fans give a light breeze overhead as you prepare chef-quality meals in your fully equipped kitchen. Stocked with stainless-steel appliances and complemented with granite or quartz countertops your final creation will be presented on a beautiful backdrop. Then lay out on your private patio or balcony sipping your favorite nightcap as you watch the Floridian sky change at sunset. 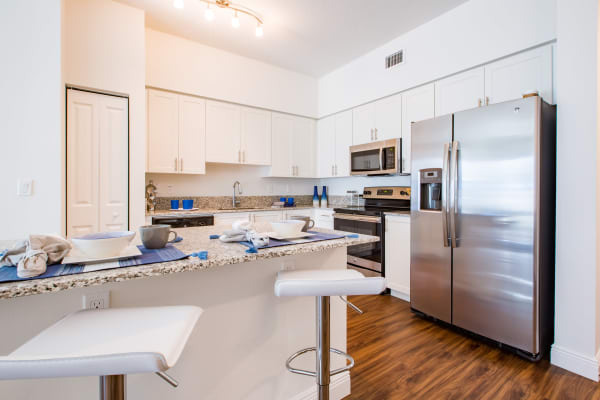 Better living comes standard here at Luma at Miramar. Start your day off strong with cardio and a weightlifting session at our 24-hour onsite fitness center. If your pup is looking to stretch his paws, head on over to our onsite dog park. Then pack your beach bag and towel; our resort-inspired swimming pool is the perfect stay-at-home spa day. Once you’ve worked up an appetite, throw a few burgers on the outdoor grill and invite your friends over for a fun get-together. Our gated community also offers friendly onsite management and online rental payments for your added convenience. For a personal tour of our pet-friendly apartments in Miramar, FL, call our leasing office today.